Understanding the “y” in Lying. The other day a parent messaged me, wondering what to do about a lying teenager. Her question prompted me to flesh out this post that I started almost two years ago. Let me start by saying that “lying” is one of the things that ought to be on every parent’s “Majors” list. I’ve blogged about Majors and Minors elsewhere, but let me just state that few things are more “Major” than having family relationships based on trust. Lying within the home can’t be ignored. But just because something is on the Majors list doesn’t mean it has to be dealt with severely or punitively–it just has to be dealt with. In the case of a child’s lying, I think it may be just as useful to consider the reasons for the child’s lying, rather than be solely punitive about it. Before jumping to confrontations, it would seem useful to think about what internal things may be going on that might make them (and us–if we were honest) choose to lie. Rather than immediately react to what they did wrong, let’s slow down, gather all the information, and listen. Only then can we learn what’s really going on with our children. 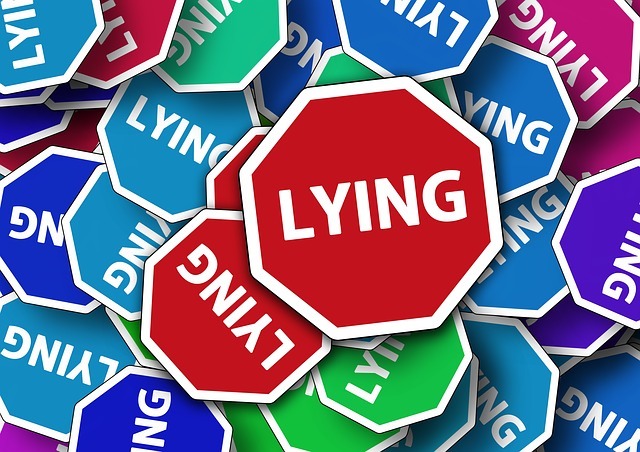 Here are six possible reasons they might be lying. 1. Some kids lie out of fear. Could it be that our discipline methods are overly strict? Any reasonable child would want to lie to avoid “setting off” an unreasonably punitive parent. Parents would be wise to consider whether they may be over-disciplining. An honest heart-to-heart conversation between the child and parents might reveal rules and expectations that are overbearing. If so, negotiating better rules and expectations might eliminate the need for the child to lie for self-protection. 2. Some lie so as to not hurt loved ones. Perhaps the lying is intended as a way to make the parents less anxious, worried, or crushed by the child’s choices. Thus, lying could actually be intended as a kindness. Such children view their parents as fragile; such parents need to convince their children that their own well-being doesn’t depend on the child doing everything perfectly. As I’ve controversially stated elsewhere, the parents need to communicate that they don’t need their kids to behave in order for them to thrive. The parents should model a resilient faith in Jesus that doesn’t need to pressure their kids into making perfect decisions all the time. In fact, it’s ok for them to fail! 4. Some kids lie so as not lose their parents’ approval. These kids have a perception that their parents’ love and acceptance depends on their good behavior. Wise parents would do well to communicate that–no matter what good or bad choices their kids may make in life–their love will never be in question. It is important to keep a distinction between the child’s behavior and their personhood. They need to be convinced that we unconditionally delight in their personhood, eliminating this reason to lie about their behaviors. 5. Sometimes kids lie to build themselves up. Each of us has a longing to feel accepted by others, so it’s no surprise that this is a common motive for kids’ lying. In this competitive “selfie-saturated” world of ours it’s easy to see why exaggerating one’s achievements may seem necessary for social survival. Lying may also be a defense mechanism to avoid bullying. If self-preservation is the cause of your child’s lying then berating him or her for lying might actually be adding to their feelings of not measuring up. Rather than punishing such boasting, it would be better to spend time empathetically listening to them while looking for opportunities to convey biblical truth to them about their worth in the eyes of God. Pray for them–and with them–about this. On the other hand, if the child is lying as a way to put others down, that should also be addressed with a heart-to-heart discussion. Beneath the rough exterior of most bullies is insecurity. Helping them see how their lying may be wounding others is important for them to learn. First, since character is “more caught than taught,” parents must be careful to always model lives of personal integrity. If the kids overhear the parent calling in sick to work–while heading out to the golf course–no amount of lecturing on life’s virtues will compensate! Second, reward honesty. Every time we catch our kids telling the truth, let’s affirm that wise choice. Third, as I mentioned at the top of this post, lying often results in a breach of trust within the home. Consequences–if there are any– should be tailored to address this issue. It’s appropriate to reign in the leash if the freedom of a longer leash has been mishandled. This is a true principle that will apply for all of life. Fourth, consequences should last as briefly as possible, with the stated goal of wanting to restore their freedom as soon as they show they can handle it. We want them to have freedom–and we want them to use it responsibly. Offer hope for a better tomorrow. “Grounded for a year” will only produce resentment instead of shaping a child’s character. Trust and verify. Fifth, consider whether the lying might be age-related. It should be noted that preschool children typically manifest lying as part of their normal development. They may not fully grasp the difference between fantasy and reality–an example would be having an “imaginary friend.” They also are experimenting with reading others’ perceptions and controlling their own actions. Parents should keep this in mind as they confront the lying of preschoolers in the home. Kang Lee has done some interesting research (and a Ted talk) on the subject of early-childhood lying if you’re interested. 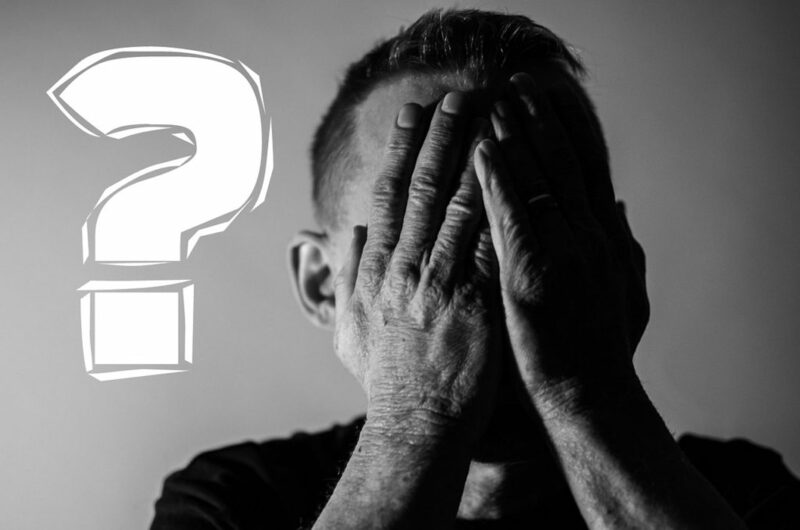 Finally, is the lying related to mental disabilities or trauma? I haven’t studied these issues yet, but consideration might need to be made for such cases. I’ll edit this post as I learn more during my graduate school counseling training. In Part 1 I made the case for why I believe every kid should be given an allowance. Today I want to make the case for giving your kids HEFTY allowances. Someone will say, “But we don’t have any extra money in our budget to start paying our kids hefty allowances.” I’m not suggesting you add even $1 to your overall family budget. I’m merely suggesting you transfer some of the money you’re already spending on raising your kids–to them! Think about it–right now, you’re already spending a certain amount of money to buy them treats, gifts, clothes, fashion accessories, cosmetics, games, entertainment, etc. How about handing them some of that same money and letting them pay for some of their own expenses! This will lighten your load and teach them a lot about managing themselves. Realizing that every family’s amounts will be different, let me share how it worked in our house. We paid our girls $1 a week for each year of their age. That means when they were three, we gave them $156 a year and by the time they were 18, that had increased to an annual amount of $936. That may sound like a lot, but it’s really not, compared to the total cost of raising a child. Their remaining *80% of “discretionary” money, was theirs to spend as they chose–for the most part. Each year on their birthday, they would get an increase in allowance, and often be informed of new things they would need to start purchasing for themselves. Parents would do well to envision how much much financial responsibility they would want their kids to have on their first day of college and work towards that. Depending on the age and situation, parents might physically dole out cash or transfer amounts into an account–perhaps even a debit card. Admittedly this takes some time and effort, but the benefits from creating financially responsible and independent kids make it worth the effort. 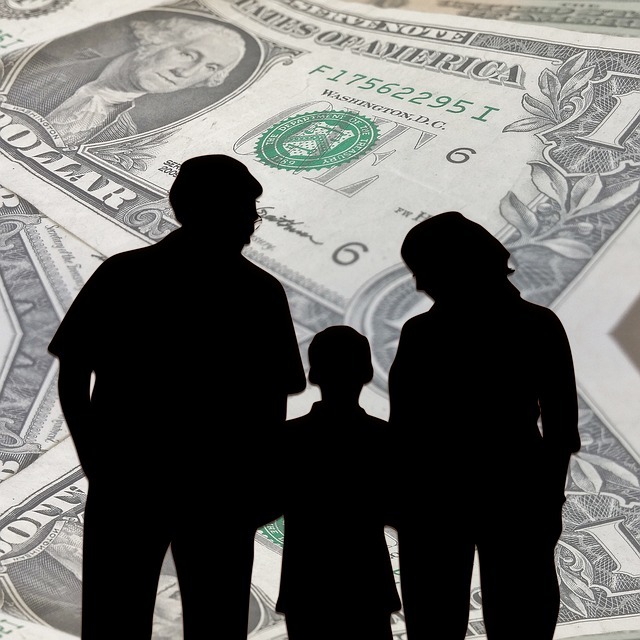 As I’ve blogged about elsewhere, allowance money can easily be deducted from the child’s next “paycheck” to pay for fines, consequences, unfinished **chores, etc. No arguments required! Small Toys, snacks, candy–anything the 3-year-old might beg for at Walmart! 25% of extra school activities/expenses (such as uniforms, trips, prom costs, club sports, etc.) School costs were admittedly a lower priority to us than church ones. Birthday presents for friends (However, this was a predetermined “flat rate.” They would need to pay the extra if they wanted to purchase extravagant gifts. I hope this gives you some ideas of how you might incorporate allowances into your family structure. *Others, like Jeff Anderson, have suggested making kids save a third, give a third and use 33% for discretionary spending. **I’m not suggesting allowances are given in exchange for doing chores. I explain the difference here. Our goal as parents is not to raise children, but rather to raise responsible adults. Sadly, too many parents end up with chronically-dependent high school graduates who can’t manage their lives — or their money. So today I want to make the case for giving your kids allowances! They will be much better prepared for life. And that means your life will be better too! .Our 3-year-old son is learning the value of $ as he spends all his $1 per week on gum. We might think of it as a waste of good money, but he’s learning to decide what matters to him. Someday he’ll figure out that there are better uses for his money, but he’s got to learn that for himself over time. Most importantly he’s learning that adults are trusting him with the responsibility of making his own decisions. He is quickly learning which gum pack gets him the most pieces. Amazing! Notice how he already is learning to stretch his dollar, to look for bargains, and to do comparison shopping to get the best value! He is learning not to eat the entire pack in 2 minutes because he doesn’t have $ to buy more. See how he’s learning about delayed gratification, patience, pacing himself, relishing what he has, and living within his means! How many teenagers never learn this! This three-year-old is already learning to weigh pros and cons, to make decisions, to negotiate with others, and to wrestle with priorities regarding his time, money, work & leisure! I share this because if someone told me that this stuff would work on a 3 year old I would never have believed it. But, he is the youngest of 3 so we included him in the process because he was feeling SO left out. Now we know it is effective even at 3. I love this story because it vividly demonstrates how giving some measure of financial control even to the youngest of kids can serve to build their character. 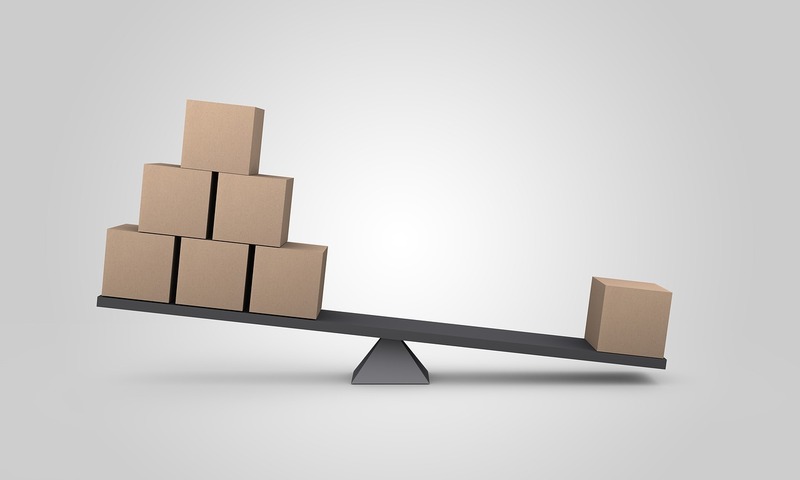 I’ll blog again soon with Part 2, making the case for HEFTY chores, but let me close this post with some general thoughts about giving kids allowances. It makes children feel valued and trusted and gives them a measure of control over their lives. It gives them money to waste. Failure is a great teacher. They can experience the joys of giving and the rewards of saving. It doesn’t cost you anything. You’re already spending money on your kids — this just transfers responsibility onto them for certain purchases. Because if you hold all the money, they’ll always be coming to you for withdrawals, which can cause conflict. Better to dole it out deliberately and let them learn to manage it. Parents can still set limits on what money is allowed to be spent for (but remember, don’t prevent them from wasting it.). Instead of butting heads with them about their financial wants, it forces them to make decisions about what matters most, learning important life skills. It gives them assets that can be used to reimburse you for any damage they may cause. It gives us opportunities to help consult with them about their financial choices. It makes you the coolest parents on the block! I want to share a free app that I have found to be extremely useful in helping me “make the best use of my time” as I manage my own life. It’s called WhatsNext? by the Corporate Coach Group. I don’t usually promote products, and I’m not getting a commission, but this app has helped me so much that I want to pass this resource along! Most “task manager” and “to do list” apps have you assign a priority level to each task (high, medium, low, etc.) That’s a start, but it doesn’t really help you prioritize which of your “high” level ones to do first. 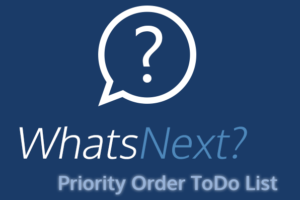 If there are 10 things in your “high priority” list, how do you decide in which order they should be done? Funnest first? Most difficult first? The ones that would make God, or my boss, or my wife the happiest? This app solves this problem of real-time decision-making, and makes it easy to determine which–of all the things that I could do today–should I do first, then second, third, etc. It’s not designed for long range strategic planning or for managing all the tasks that could be done, but it works perfectly in making decisions about the handful of things I could do today. To use the app, you simply plug in the five or eight or ten things you could do today. Pressing the “prioritize” button then brings them up two at a time and compares each one with each of the others. So instead of looking at 12 things and saying, “where do I start?” you simply compare two and say, “If I had only time to do one of these two things, which one would I want to have accomplished at the end of the day? In other words, which task is most important for me to do–today? When finished comparing all the possible combinations, the app gives you a list of all your tasks in order, so you simply begin working on #1, then #2, etc. You don’t have to give it any more thought! And if you don’t have time to finish them all, no problem! You did the most important things first, so you can sleep well, knowing you did the most important things with the time you had. The app allows you to save multiple lists, such as “Things I could do on my day off” or “Home improvement projects I could do.” And for adding tasks on the fly you can either insert them one-at-a-time into a previously prioritized list or you can run the program again. The lists can even be backed up to the web and can be emailed too! Here’s the link if you want to give it a try. Finishing one race; starting another. Today I crossed the finish line of a very long race and am about to start another. I completed my final list of “to dos” this afternoon, the last of which was packing my office belongings into my car. At 3:45 I walked down to Linda’s office, turned in my church keys, and instantly went from being Pastor Mark back to just Mark. I’ve been in full-time ministry for 32 years straight — and now, in an instant, I find myself unemployed and not really sure what this new normal will be like for me. In two weeks I’ll be starting my next race — that of a full time grad student. What a change. At this very moment I’m blogging these reflections instead of running youth group. So weird. Looking over my shoulder at the race I’ve just finished I am profoundly grateful and humbled that God would let me run it. At my “graduation”/farewell party this past Sunday Cindy and I set out all of the youth group pictures and memorabilia that we had preserved from each of the past 25 years. Perusing through them brought back many long-forgotten memories of ways that God blessed us with each other and with Himself. I marveled at the number of youth group alums who came back to wish us farewell, coming from as far north as Duluth and as far south as Arkansas. It was such a delight to reconnect with our old kids (some now in their 40s), watch them relive old memories, and reflect on how good God was to us during those years. It struck me that with every single year, trip, and retreat God seemed to have sovereignly brought together those students and sponsors who needed each other at that precise moment in time. We truly had something special. On a personal note, Cindy and I were so profoundly touched by all those who were able to come and wish us well. Thank you for expressing your kind words to us verbally and through the many, many cards. Our view is that each of you has impacted us every bit as much as you say we have impacted you. God gets the glory for it all. It was indeed a good run! Whenever I finish a race I find myself equally exhilarated, exhausted, and satisfied all at once — and looking for the massage tent! So it is now. And then on to the next race! How I almost got disqualified from youth ministry. My farewell party is this Sunday afternoon and people will naturally be congratulating me on my 25 years as youth pastor at New Covenant. But what most people don’t know is that less than 2 years into my job, I almost disqualified myself. I want to tell that story. When I came to New Covenant in 1992 the youth group was in a state of disillusionment. My predecessor’s departure had been unexpected and the high school group was admittedly in a state of disarray. I came in knowing the youth group needed fixing and that it was my job to do just that! I was going to make this youth group great again! Armed with my Moody Bible theology degree and 6 years of church ministry experience, I had all the resources I needed to turn things around! It didn’t take me long — just a few months — to come up with just the right programs to develop leaders and make disciples. Several students signed up for my programs and gave me great feedback. I was doing it! Things were really getting fixed! Or so I thought. One summer day — having been here just a year and a half — I was unexpectedly called in to Pastor Ray’s office, where an elder and one of my few youth volunteers (we call them “sponsors”) were waiting. They relayed the hard news to me that actually the youth group wasn’t fixed. At all. In fact, a high percentage of youth group members felt like they didn’t matter. That it was “Mark’s youth group” not theirs. And that if they didn’t show up, no one would likely even notice. They were unheard and devalued. They were falling through the cracks and my “discipleship kids” were the only ones I seemed to care about. At first, I was in disbelief and in a state of shock. But as they relayed one account after another of those who had been feeling neglected by me I recognized that they were speaking the truth in love. In my frenzy to run a successful program and quickly turn things around I had completely missed that this youth group was about them, not me and my grandiose solutions that were being imposed on them. I spent a week wrestling in prayer. I did some fasting, and serious soul-searching. I knew I couldn’t continue to be a shepherd that was actually wounding the sheep by my pride and neglect. I was broken. I either had to completely change my priorities or quit my job. Thankfully, God allowed me to stay and change. Those who were there will recall that I immediately did several things to demonstrate my change of heart. I called a meeting of the whole youth group and in brokenness apologized for making the group about me, not them. I confessed how I had imposed my plans on them rather than serving them. I brought in a 1000 piece jigsaw puzzle, which together we assembled and mounted on the wall to visually remind us all that every single person mattered. We did this for several years. I stated that if anyone ever caught me using the phrase “my youth group” I would pay them money on the spot. It was God’s youth group, and their youth group, but I needed it to not be mine. I confessed to having developed a “Savior Complex,” trying to run the youth group my way and attempting to shepherd the large group of students all by myself. I committed to begin to pray that God would raise up a large team of youth sponsors, caring adults who would help prevent students from falling through the cracks if possible. Graciously, the group gave me a second chance. And God miraculously brought us just the sponsor team we needed. In the remaining weeks of that summer 17 sponsors randomly approached me out-of-the-blue, asking to become sponsors. It was remarkable because I had only prayed, never even making the need known to the church. That so many approached me so quickly was a miraculous confirmation from God. This traumatic experience of almost losing my job altered my life and ministry values — permanently. It taught me the importance of listening to those whom I serve, frequently soliciting their input. I learned to hold my agendas loosely. To be teachable. To be an includer. To give up control. To do things as a team. To let others (students and sponsors) make ministry decisions that may be different than mine. To admit that I can’t shepherd everyone and to be ok with sponsors impacting particular students better than I could. So as I reflect on the lives of students that may have been impacted over these past 25 years I give the lion’s share of the credit to my wonderful sponsor team. Without them our youth group would have self-destructed long ago! Thank you, thank you to the dozens and dozens of you who served as sponsors over these years. I couldn’t have done much of anything without you. Did we care perfectly for every student? Sadly no. In a big group it’s hard to notice all the needs and direct our attention to the students when they need it most. But looking back, we sure cared for a lot of them! Here’s one of my favorite sponsor photos from over the years. 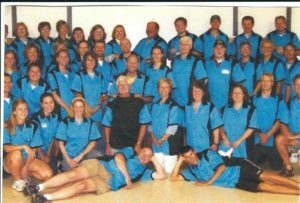 Mark Eades and I got our sponsors bowling shirts that year! And now, as I step down from leading the high school group, I’m not at all concerned for the group’s well being. My vacancy has been anticipated and the sponsors are ready. The current team of committed sponsors will make sure that the youth group continues to function without skipping a beat and I am confident that the students will be well cared for moving forward. I want to express special thanks to the sponsors who have committed to keep the group running smoothly during this time between youth pastors: Stacey, Steve, Melissa, Bryan, Charley, Jennifer, Candace, Sabrina, Jeff, Tim, Brad T, Brad A, Sara, Dawn, Lynn, Ron, & Becky. And I’m thankful for the resourcing and support that they will continue to be given by Mark Eades and Renee Kim. The youth group is indeed in good hands! The bus is empty but my tank is full. Last night I drove the church bus for the last time. A short trip there and back to the Great Jones County Fair — featuring a Casting Crowns concert. Driving that bus has always been one of my favorite things to do! As usual, this was another delightful trip. Back at church, I dropped the kids off in the parking lot, grabbed the broom, and headed to the back of the bus, not prepared for what I would encounter there. Tears. Lots of them. Coming out of my eyes. Completely unexpected. As I unhurriedly swept the bus for the last time I couldn’t help but reflect on how much this bus (and its predecessors) had changed our lives over these past 25 years. Wherever it brought us it seems God was there, waiting to bond us together and teach us something profound. We always seemed to come home changed. With tears of joy my mind raced back in time with overwhelming gratitude that God would have allowed me these over-the-road experiences. 15 Mexico trips — we logged about 45,000 total miles on these trips! And they were brutal — driving over 24 hours straight through. On each trip God brought together a unique collection of people who had a profound impact on the 41 Mexican families we helped. In all, 829 people made the trek. Summer trips to Summit, Toronto, Indiana, Tennessee, New Orleans, Denver, Kansas City, Chicago, Minneapolis, St. Louis, Wisconsin and Colorado Springs. Close to 100 Retreats to a variety of places including Camp Courageous, Camp Wapsie, Camp Io-Dis-E-Ca, East Iowa Bible Camp, Pine Lake Camp, Pictured Rocks Camp, Camp Wyoming, and my favorite, Rustic Camp Hitaga. Most memorable retreat: when we accidentally burned a cabin to the ground at Camp Wyoming. A variety of special events: concerts, ski trips, ball games, conferences, a Billy Graham Crusade, Promise Keepers, amusement parks, sponsor hunts at the mall, Shamrock Around the Clock. On these buses we had singalongs, testimonies, story times, comedy clubs, autograph signing, prayer meetings, book studies, discussion groups, creation talks with Charley, get-to-know-you mixers, and even duct-taping kids to the ceiling. Talk about bonding! 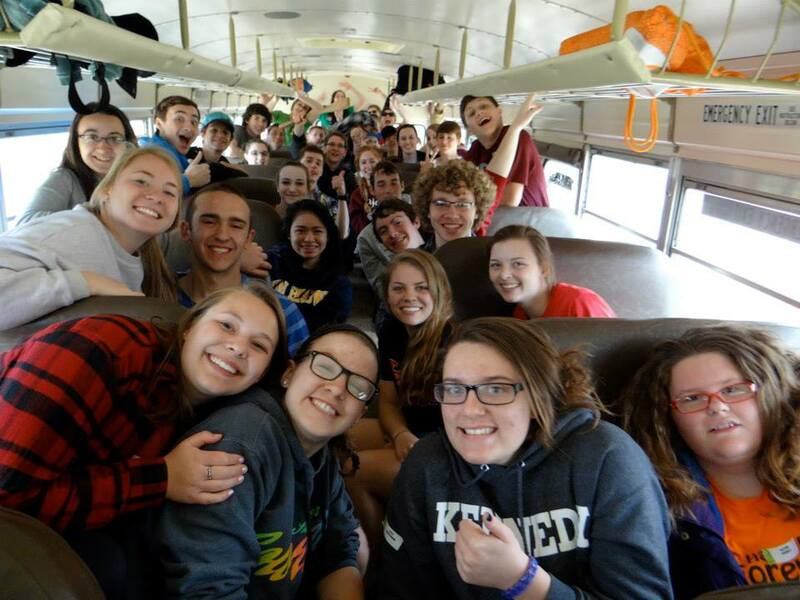 As you would expect, some of my favorite bus memories involved adversity. Like the time a bus engine caught on fire coming home from Adventureland and Tom Maring just happened to drive by and had it fixed within a half hour. Or when a Mexico bus broke down in Oklahoma City for 18 hours and a youth group put us up overnight in their really cool youth building. Or when a bus died in Cedar Falls on the way to Minnesota one winter and we impulsively rented a fleet of vans so we wouldn’t have to miss out on skiing. Or when things got stolen out of a bus at the St. Louis Zoo with no evidence of how they got in — everything was still locked up tight! Or when a Mexico bus got stuck in snow in Wichita and we almost had to sleep at McDonalds overnight. Or when we took a wrong turn in residential Chicago and ended up on a narrow street lined with cars on both sides with less than an inch of side clearance space. Or when the transmission dropped out of a bus four miles from church . In a blizzard. After dark! Each was a life-changing encounter, for which I will ever be grateful. We bonded on these trips. Lifelong friendships were forged in these seats. I believe there are married couples today who first fell in love on these buses. As I continued sweeping — and weeping — I thought about how so many of my personal ministry passions were fulfilled by having these buses. I thought of what we would have missed out on had they not been at my disposal! My thoughts then turned to the people over the years who procured these buses and helped keep them running. For Brian Valenti (aka The Commish), who knew how to pick the perfect bus and who trained so many drivers over the years. For Randy Hudson who helped me pick up our first “new” bus when I first came. For Dave Beer, who who did — and still does — the bulk of the mechanical work and the painting. For Jeff Westrom, who came up with snazzy paint designs and helped implement them. For John Maehl‘s financial and property management expertise For George Bushlack, who always puts so much heart into into keeping the buses roadworthy and in tip-top shape. For Larry Pinkston, who wired up a 50 foot internal microphone so we could have better sharing on the road. For Charley Snodgrass, aka KC0CD, who wired them up with ham radios and who drove more miles than anyone except me, aka KC0ODH. For Ruth Stavlund for stitching up the torn bus seats. And for all the drivers, who worked so hard to get CDLs to help the ministry. For all the sponsors who gave up their comfort to mingle with teens, sharing their lives with each passing mile. For the New Covenant attenders over the years whose offering money helped pay for these vehicles and gas. All these thoughts flooded my mind last night. My tears were all tears of joy and gratitude to God, and not at all of sadness. Those great memories made within these metal walls will be with me forever and they’ve changed me permanently. We had something special for which I will ever be grateful. It was a good ride! But all journeys must come to an end and God has made it clear that my time has finally come to deboard this bus. As I lock up the bus for the last time I know it’s time for someone else to chart the course for the future of New Covenant’s high school ministry. God’s blessings will continue through the leadership of another and that thought also brings me joy. As for me, I know it’s time to focus my energies on bringing hope and healing to a broken world. I’m not sure exactly where this new counseling adventure of mine will lead, but I’m excited to find out. How ESPN has improved my prayer life. Private prayer is something that I am determined to make a priority in my life. I’ve blogged before about how I organize my prayer life but I’ve never blogged about finding the right environment for prayer. We know from scripture that Jesus often withdrew to “lonely places” to pray and he also taught the concept of finding a “prayer closet” in which to get alone with God. Over the years I’ve found various prayer closets that worked well, but I want to share about one that I’ve found especially helpful over the past year. I love to run on treadmills at the iGym, but it with my busy schedule it’s hard to justify much time for that. The thought occurred to me that if I could learn to pray while running I’d be doing two really good things at the same time. Redeeming the time! So, more days than not, after some time in the Word I’ve started driving to the gym for my prayer time. It was a admittedly a bit distracting at first, but over time I’ve learned to block everything out around me and focus completely on my conversations with God. 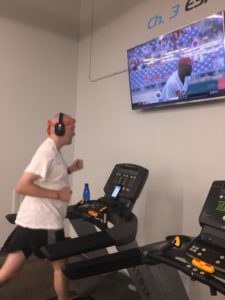 As you would expect, I select the treadmill which is under the ESPN TV screen (which doesn’t tempt me to look up in the least!) I also put on noise cancelling ear protectors to block out all the gym noise. Then I put my phone on “airplane mode,” and set it up on the tray with my prayer app open (described previously), and then launch into a focused session of prayer. 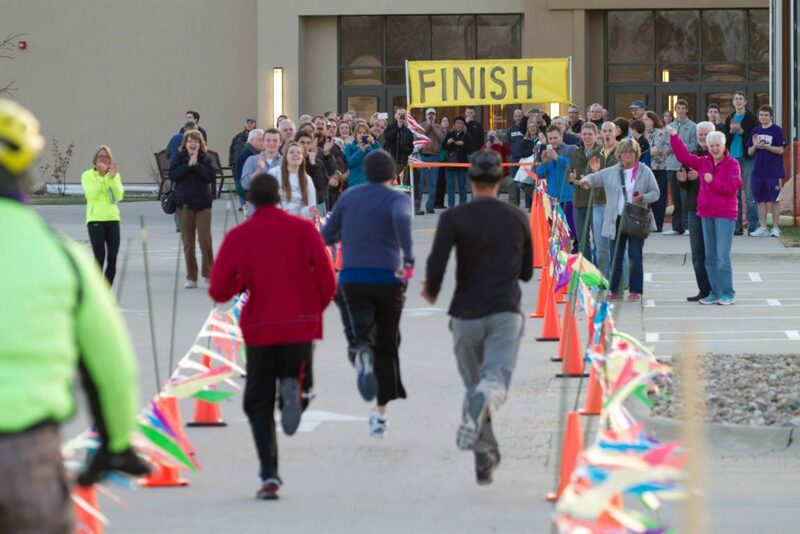 My goal is to meditate through my prayer list while running as fast as I reasonably can — without losing concentration. If I start to think about my running, I slow down. Over time my treadmill has become my sacred space. Here I’ve lifted up the needs of others while also receiving joy, guidance, conviction, inspiration and even brokenness. One day my spirit was so troubled by circumstances that it took me 10 miles to calm my restless heart! As strange as it may seem, my treadmill has truly has transformed into a sanctuary. And here’s an extra bonus: I never get sleepy when I pray! I share all this not to recruit anyone to pray in a gym but rather to encourage each of you to find your own private place — wherever that might be — to meet regularly with God in prayer. Make time with Him a priority in your daily schedule! This is an actual photo of one of our children’s bedrooms. I won’t mention which child it was to protect Lexi’s identity. BEDROOM TIDINESS. We chose to make bedroom tidiness a “Minor” in our home. We opted to never have a battle over the condition of our kids’ rooms. We gave them the privilege and the responsibility to organize and manage the stuff in their rooms however they wanted. The only stipulations were that there could be no dirty dishes or food crumbs left in the room, and any dirty clothes they wished to be laundered had to be put in the hamper in our bedroom. Other than that, they had complete creative control over the condition of their rooms. And our girls were creative! This teaches them to be sloppy people. Perhaps, but we’d rather have sloppy kids that we enjoy being around than kids who resent us for constantly nagging them to clean their rooms. And in our experience, the sloppiness of their rooms didn’t spill over into other areas of their lives: schoolwork, musicianship, work ethic, and doing ministry. Kids like yours won’t learn how to clean and be tidy. They were required to keep the rest of the house tidy, so they did learn cleaning and organizing skills! But we wanted them to practice managing their own lives, organizing their rooms when it was important to them. We found that there were two main situations that motivated them to be clean and tidy: 1.) When they were sick of their mess or frustrated by not being able to find the important things they had buried. Failure is a good teacher! When this happened they would sometimes go on a self-imposed cleaning binge until their rooms were immaculate! This always gave them a peaceful and satisfying feeling! 2.) When friends or guests were coming over and they would feel too embarrassed to have them see their messy rooms. Positive peer pressure at its best! Won’t this teach them disrespect for others? Making bedroom clutter a “Minor” worked for us because our girls had their own rooms so their mess didn’t affect anyone else. But because respect was a “Major” value in our home they entered college prepared to keep their dorm rooms tidy out of respect for their roommates. 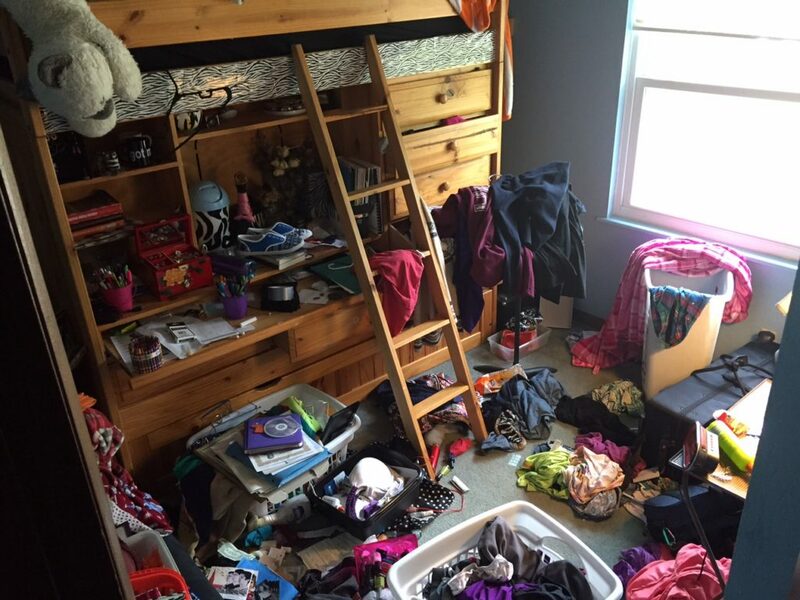 How could you parents tolerate living with that mess in your house? Honestly, sometimes we closed the door — out of sight, out of mind! At other times we stood at the door and chuckled at the sight, We chose to view it as entertaining rather than annoying. Sometimes we’d ask, “How’s that working for you?” We made it their problem, not ours. CLOTHING CHOICES. We also chose to never have a battle over clothing with our girls (as long as they were modest). From a very young age (3 or so) we let them choose their own outfits and only rarely would we regulate what they wore (e.g. family pictures, holiday attire, weddings, funerals, etc.) This meant that we sent them off to school and church wearing what they felt like wearing, which may or may not have matched the fashion etiquette of the day! We figured it was good for them to choose their attire as a way to express their individuality. This encouraged them that it was ok to be themselves. As they grew older and more aware of social norms it also forced them to make decisions on how “conforming” to their peer group they wanted to be. It was a blizzardy, mid-winter Sunday morning and church should have been cancelled, but wasn’t. I had gone ahead to church already, but Cindy was still at home getting herself ready with our three-year-old daughter, Bren. Bren had chosen her church outfit for the day: a dressy plaid skirt, a red, tattered, Micky Mouse sweatshirt, and flipflops! Making mention of the frigid temperatures and pointing out the blankets of descending snow outside, Cindy advised Bren that it might be a better choice to join her in wearing boots rather than flip-flops. But Bren’s mind had been made up — she was determined to wear those flip-flops! Rather than engage in a potentially lengthy and emotional battle with a strong-willed child over footwear, Cindy wisely decided to drop the issue completely, and began loading up the car and heading to church. The trek through the snowy church parking lot to the front door provided the perfect teachable moment for Bren. By the time they got inside Bren’s feet must have been absolutely miserable, although she tried hard not to show it. One thing we do know, however: never again did Bren choose to wear flip-flops in a blizzard! So what was Cindy’s biggest challenge that cold morning? It wasn’t Bren or her footwear choice. It was the awareness that other moms might judge her as being a bad mom because she allowed her three-year old go to church in a blizzard in flip-flops. Her concerns were well founded — in fact, just recently, a woman admitted to having done just that on that fateful morning. But rather than feel guilty, Cindy knows that she did what was best that day: avoiding a needless battle, letting Bren learn from her mistake, and arriving at church in a joyful mood! I couldn’t agree more! Now read the Final Post in this series on Majors and Minors. * the stories and photo above are used with my kids’ permission! One of the biggest mistakes we parents make is when we Major on the Minors. It wastes energy, causes us undo consternation, and jeopardizes our relationship with our kids. In a previous post, I wrote about how parents have a God-given responsibility for managing their families. It is certainly the parents’ job to decide what will and will not be allowed in the home. In this post I want to encourage parents to carefully evaluate your current household expectations and rules to see if they may need rethinking. Every parental expectation or rule can be separated into two categories: Majors and Minors. They can be either spoken or unspoken, formal or informal, articulated or perceived. By Majors, I mean the things that we absolutely require of our kids. These are the firm expectations and rules for household behavior. They are the things we are willing to have battles with our kids over. By Minors, I mean the things that are merely parental preferences, hopes, or dreams — but not requirements. We may wish things were otherwise, but we are unwilling to engage in battle over these things. A harmonious relationship with our kids is more important than getting these things that we’d prefer. Everything must fit into one of these two categories. There is nothing in the middle — either it’s required or it’s not! Parents will be wise to think carefully about where they put what. First, consider carefully in which box your expectations should reside, because if you Major on the Minors you’re likely choosing numerous and needless battles with your kids. It was always our goal to have the fewest number of battles with them. Each battle builds a relational wall of separation between us. Second, be aware that some things will need to switch back and forth from one list to the other over time. This is because family needs change as everyone ages, our abilities and capacities can grow, and our tolerance levels can vary. Third, make your list of Majors as small as possible. Have as few rules as you can. Say “yes”, every time you can. Choose your “no”s strategically and be prepared to explain why. In my next post, I’ll share some of the outlandish things that our girls did that we chose to classify as Minors! And in the final post of this series, I’ll share some practical ways to evaluate your current Majors list.